Like the 5th Beatle: Stuart Sutcliffe, Pete Best or even George Best there is probably more than one 53rd climb. I am referring to climbs that didn’t make it to the 52 local climbs that I identified for the club website, a project, or perhaps labour of love, that started in July 2010 with the climb from Kildale to Gribdale and finished with Rievaulx Bank in November 2013. Old Byland. This was a climb suggested by club member Paul Howe as I was finishing the 52. To be truthful I’d never done it but finally earlier this year on a group ride we stumbled upon it after taking an ad hoc detour. Or at least I think we did? Though we may have ended up going down it and up the other side of the valley to the climb Paul described. A great road, difficult to asses the severity of an ascent when going down it but I would estimate it coming out at around a 6? One I must return to and do the other way. The Raisdale Road from Chop Gate. We actually did this and I was going to include it but I was persuaded by Mick Renison and others out at the time that it was nondescript and not worth putting in. I kind of knew what he was getting at and even wondered if it was a climb at all as it undulates quite a lot and doesn’t feel like a continuous climb. I now think it is and probably worth a 4 or 5. The scenery makes the climb but probably right not to put it in. Birkfield Bank. If you take the road from Westerdale Village towards Castelton this is the steep twisty little bank that goes straight up as the main road takes a 90 degree left. 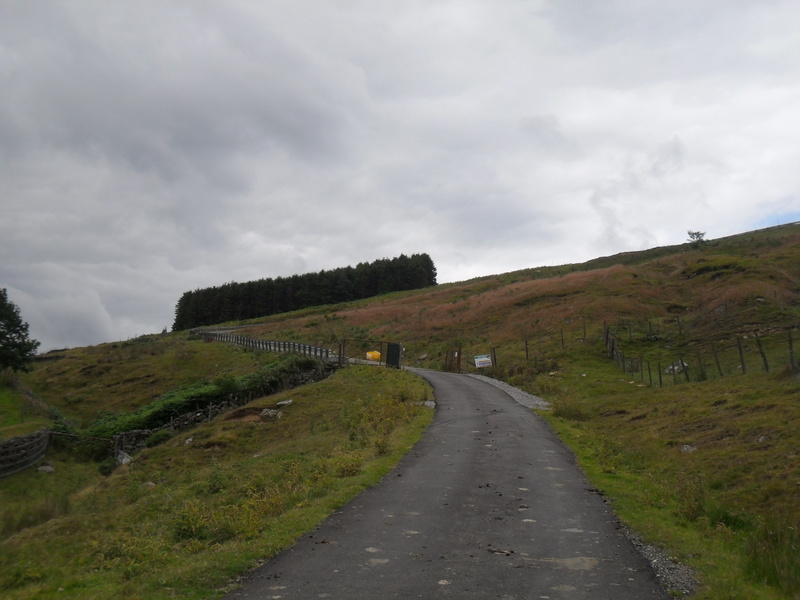 Probably 15% or more at its steepest you can extend this half mile climb by taking the right turn to take the long drag with a kick at the end that then joins the main Blakey Ridge Road. I didn’t include this because it seemed more like 2 separate climbs rather than one connected climb. Great lonely bit of road though and probably worth a 5. Hob Hole. This is in but the easier way as I decided to do the 3 Westerdale climbs in the same direction, figuring that people could do all 3 in one go. I do now wonder what I was thinking as the climb out of the ford going towards Kildale is a real tough one, being very steep at the bottom, then dragging on for an age. And it is the last serious obstacle in our Mountain Challenge. Ratings wise a 5 or 6. West Lane, Danby. This is the main road that takes you up out of Danby towards the Guisborough to Whitby Moor Road. Lacking in character to some extent it is quite steep at the bottom and has a good right, then left bend. Once past this though it becomes a bit of a featureless drag, though it is a great descent. There are several much more interesting climbs in the area so I discounted it for that reason. In terms of difficulty a 4. The climb from Houlsyke. 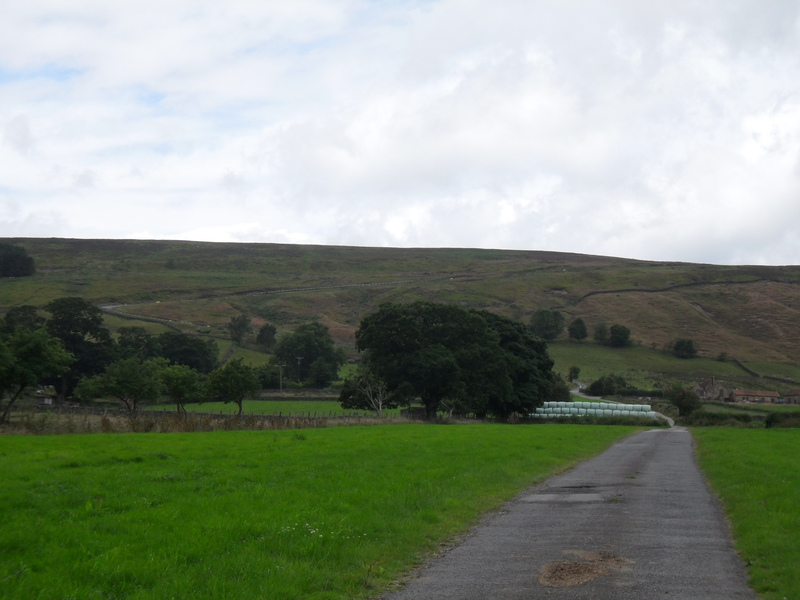 This is the gated road that takes you from the village of Houlsyke up to the higher road that runs parallel to the Esk Valley. Rough and very steep it only lasts for about a third of a mile but it probably gets to 20% or steeper. I rejected it because it isn’t easily incorporated into a ride and it is maybe a bit too short. Close though and in terms of toughness probably a 5. Dorset Road Skelton. A terrifying 30% slope only 2 minutes or so from where I live. The reason it’s not in? Because it is only about 50 metres long. A test on my single speed but in real terms only a 1! The road to Bilsdale Mast. This is the one that should have made it. I agonised over this, but discounted it partly because it’s a private road and partly because it doesn’t go anywhere. There again I was persuaded by others in the club to include the Baysdale Road so the second point doesn’t stand. I also think that there isn’t really an issue with it being a private road, at least for an individual cyclist attempting it as I did recently. I wasn’t stopped, even though I passed a couple of trucks. It should have made it because a) it’s long at 1.3 miles b) it’s steep at about 18% or so c) it has a sustained 0.6 of a mile where it probably sustains 10% to 15% d) it has a signature barriered bend at the steepest section e) it has a cool mountain top finish with an impressive 1,000ft mast towering into the sky and f) it is surrounded by beautiful scenery. It’s not without its flaws though, these being 5 cattlegrids and a patchy road surface that renders the descent a bit of a tedious chore. Nip up Clay Bank and descend down through Chop Gate. About 3 or 4 miles past Chop Gate you will see a tarmac road on the right with a small cluster of houses. If you get as far as the Fangdale Beck turn you have gone too far. A sign says private road, ignore this, live dangerously! After the houses the road turns right and goes through some trees, it’s a bit dark here so watch out for the speed bumps which aren’t that obvious, I think there are 3 of them. After a couple of hundred metres you will cross a small bridge and then the first of 5 rather grim cattlegrids which marks the start of the climb. I couldn’t work out if the first cattlegrid had a rung missing or if it was just really shoddily made, either way treat it with respect and you will get over it. The first half mile or so is more or less dead straight through a field and steadily climbs (and goes over 2 or 3 more cattlegrids!) from about 2% up to about 10% as you near a farm on your right. This next section is the key. The road starts to rise sharply as it turns right and mounts another cattlegrid, there’s a sign here too reminding you that it is a private road. You’ve come this far what the worst that can happen? Make you way up the 15% slope to the bend and just keep grinding away. It goes on a bit but nothing too severe. You’ll see a small hut on your left, once you get to this the gradient eases to about 10% again and then probably down to 5 or 6 by the finish. The panorama from the summit is truly magnificent. Awful! Take it easy and if it’s wet good luck over the cattlegrids. Tough, but not a true monster, would probably have made it into the easier of the category 1’s and a 7 out of 10. So that’s it! There are other climbs of course but I’m pretty sure that there’s nothing lurking out there waiting to be discovered, but you never know, after all Caper Hill was little known not that many years ago. 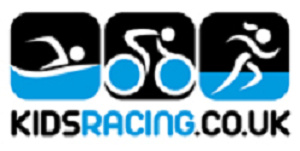 Watch out for the new Lake District climb section which is currently being developed. On the subject of “Private roads” I picked up some useful legal knowledge from kayaking down stretches of “Private river” in the past. There are two relevant offences: “Trespass” and “Aggravated trespass”. The first is what you commit by ignoring the sign. It is a civil offence; the police will not get involved and the landowner would have to sue you for damages (which you have almost certainly not caused). The second would arise if you ignored the sign, were stopped by the landowner or anyone else on his behalf, and became abusive, threatening or aggressive. This is a criminal offence and though the police are unlikely to take action unless there has been physical violence, you can avoid the offence by remaining calm, polite and apologetic. We used to do similar when mountain biking, we’d ride shooting trails and footpaths big enough to drive a jeep down and if we ever got stopped we’d just be nice as ninepence, say “sorry we won’t do it again” and then be on our merry way! Great piece of work Paul. (riding them and documenting them) Just back from White Horse bank at kilburn which I guess is just outside our official catchment – but not much further than Boltby and makes a great circuit with Hawnby and the either Newgate or Osmotherley.Its a mile exactly and v.steep on several occasions. And you can watch the gliders at the top (good excuse for a stop). I love Kepwick Bank, we did it loads on Mountain Bikes (but on them you can continue over the rough ground to get to Hawnby). Maybe a good climb for our Cross Bike brigade. Just catching up on these comments! Another contender is the road that goes left at the bottom of Limber Hill, unsuspecting riders may opt for this thinking it is easier than Limber, but i am not so sure? Longer and steep enough to hurt. There will be others! If you ride Bilsdale climb on your cross bike its no longer a dead end! Take a right past the mast & you can emerge at Carlton bank top, Faceby, Swainby, Hawnby road… the world (almost) is your oyster. the trend is climbing heading towards Carlton & the sandy bridleway surface can be very draggy so pack a decent set of legs- especially if it’s wet when it becomes super draggy! One of my favourite view stops is along there heading in that direction, I won’t describe it as I couldn’t possibly do it justice… You cant miss it though!